Starrett micrometers and other Starrett hand tools are some of the most popular and reliable measuring instruments used by manufacturing companies, from small machine shops to Fortune 500 firms, to ensure the quality of their products. Thread Check Inc. is a leading supplier of Starrett hand tools, including a large selection of Starrett micrometers for many applications. 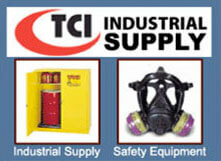 With over 5,000 hand tools available, you are sure to be able to find the optimal tool for the job. Since 1880 Starrett micrometers have been known for their quality dependability and precision. 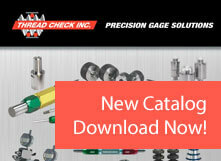 Browse through our extensive online catalog to find the tools that meet your needs. The broad Starrett product line includes precision hand tools (micrometers, calipers, rules, etc. ), levels, electronic gages, dial indicators, gage blocks, granite surface plates, optical measuring projectors, vision systems, tape measures, M1 lubricant, precision ground flat stock and drill rod. Contact Thread Check’s knowledgeable sales engineering staff for assistance in choosing the right starrett hand tools for the job. Browse through Thread Check Inc's vast selection of hand tools and Starrett micrometers, your sure to find the tools that fit your needs. Feel free to contact Thread Check with any questions you may have concerning our Starrett hand tools.